Xenevar Fat Burner is bound to attract the attention of a lot of people who are hoping to lose weight. The use of the term “fat burner” practically guarantees it, but the product is not intended for the normal weight loss crowd. 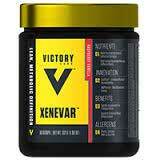 The manufacturer (Victory Labs) specialises in producing sports supplements. Their intended user group gets more exercise that the average person who wishes to lose weight. So although the company appears to have a reputation for producing good products, Xenevar Fat Burner is only likely to benefit the athletically inclined. What is Xenevar Fat Burner? Xenevar Fat Burner is a fat burning powder that has to be mixed with water and drunk as a shake. It comes in a choice of four flavours: peach, mango coconut, bubblegum, and raspberry vanilla. If it works in the intended way, people using Xenevar Fat Burner should have the extra energy they need to exercise harder and attain better results, while also maintaining a positive state of mind. A faster metabolism will ensure extra calories are burned. When the body runs low on calories it will have to burn fat to push forward and continue with the desired athletic activity. When people are unusually active it can increase the desire for food. This could prove to be an unwanted distraction during hard-hitting training sessions. If the promise of appetite suppression holds true, people using the product should be able to avoid this problem and concentrate on the job in hand. Garcinia Mangostana (mangosteen extract): A fruit extract that is often associated with fat loss. This ability has never been satisfactorily proven, but garcinia mangostana may benefit the health in a number of other ways. Raspberry Ketones: A fruit extract that contains a phenol that aids lipolysis and accelerates fat burning. These benefits are believed to be achieved due to raspberry ketones’ ability to stimulate the secretion of a specific kind of protein called adiponectin. The ingredient is also a respected appetite suppressant, so its presence here serves many functions. Caffeine: A stimulant that provides extra energy and improves mental focus. Caffeine also has proven prowess as a metabolism booster and thermogenic fat burner. Guarana Seed Extract: A fruit derivative that is rich in caffeine and is often added to energy drinks. Guarana releases its caffeine slowly. This allows for longer-lasting benefits. L-Carnitine Fumerate + L-Carnitine Tartrate: Both ingredients provide the amino acid L-Carnitine, which has proven fatigue-fighting potential. It’s presence here may enable users to train harder and longer. Ampiberry (Juniperus Communis): A proprietary blend of Juniperus communis berry extract. It is a natural diuretic, so it may help improve muscle definition by reducing puffiness of the skin. OxyGold: A patented and standardised ingredient that provides fulvic acid. Its main value here stems from the fact that it improves the bioavailability of other ingredients. How to Use – needs to be consumed two times per day—once in the morning and once during the afternoon. To make the drink mix two scoops of powder with 900ml of water. Very few customer reviews are available. Xenevar Fat Burner appears to have been well received, but the amount of feedback available is not sufficient to provide a reliable insight into how well the product performs. None of the sites selling the product mention if side effects are likely to be an issue, but Xenevar Fat Burner is unlikely to be suitable for women who are pregnant or nursing a child. Anyone who has existing health problems should always ask a doctor for advice before using any brand of dietary supplement. People who are using medication, or planing to combine the use of two or more supplements, would be wise to show a similar degree of caution. It’s possible to buy Xenevar Fat Burner from a number online stores, including Nutrition Warehouse and MuscleCoach.com.au. The cost per tub (30-day supply) can vary from one supplier to the next and generally ranges from $49 to $70. Xenevar Fat Burner does not appear to be sold with a money back guarantee. It would have been nice to have seen a little more customer feedback, but Xenevar Fat Burner contains some good ingredients so it should have the ability to offer gym-goers and other athletes the extra support they require. The average person who needs to lose weight is unlikely to maintain such a level of physical activity, so anyone who sees this product as a viable weight loss supplement is likely to be disappointed. 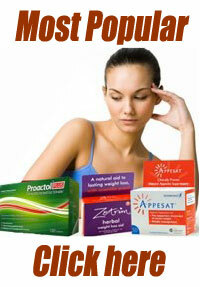 A good diet pill that has been designed specifically for weight loss will have far more to offer. The level of appetite suppression supplied is likely to be superior. The fat burning ability may be higher, and other benefits such as carb blocking are also often an inherent feature of such pills. If you are looking for a sports supplement, Xenevar Fat Burner is a pretty good bet. If weight loss is your primary aim, it is not. As any carpenter or mechanic knows, it’s important to use the right tools for each job. 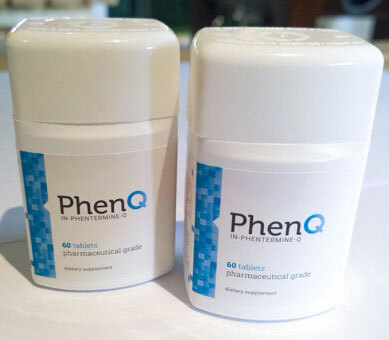 Whether you are an avid Gym goer or just want to lose excess body fat then we highly recommend PhenQ.